Flurrsprite's crimson journal suits my just-starting-to-feel- the-holiday-mood mood this weekend. Hardcover, case-bound, with 280 pages. 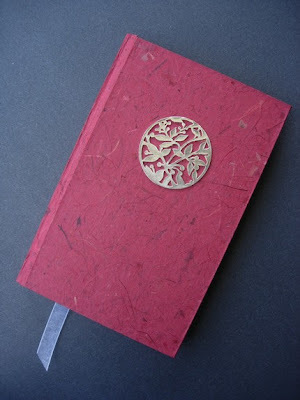 This fabulous red paper is Thai banana paper, which is accented with the silver toned foliage pendant. Rather festive even if that wasn't intended! Perfect for a holiday journal, isn't it? 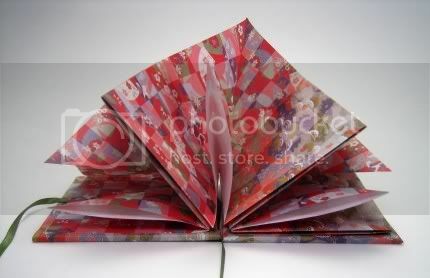 what a gorgeous book of maiko's! So simple, yet lovely. I love the flower decoration! Scrumptious!